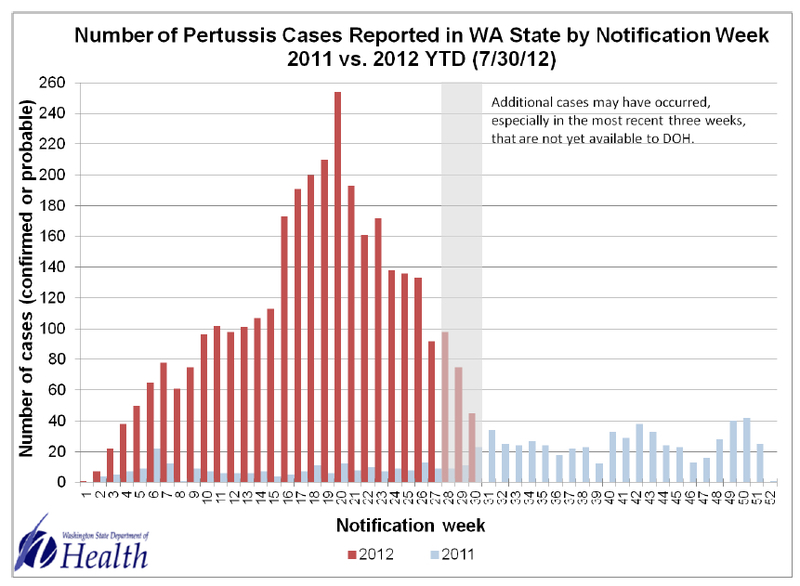 The Washington State Department of Health is reporting that, as of July 30 2012, there have been 3,285 cases of whooping cough (Bordetella pertussis) in the state. This compares to just 253 through the same time period in 2011. If you want to be scared, look at it graphically. You might wonder why it’s hitting Washington harder than other areas of the US. Washington may be demographically slightly different than other states, slightly better educated, slightly higher income. But it doesn’t have a fundamentally unhealthier population. What it does have is a higher level of anti-vaccine propagandists than other parts of the country. The Seattle Times reported in 2011 that “Washington parents are choosing not to vaccinate their kindergartners at a rate higher than anywhere else in the country.” In other words, the vaccine denialists are at the core of this epidemic. With 20% of children not getting vaccinated, herd immunity is destroyed for whooping cough, which requires a vaccination (or immunity level) of around 92-94%. According to the Centers for Disease Control and Prevention, pertussis (whooping cough) can cause serious illness in infants, children and adults. The disease usually starts with cold-like symptoms and maybe a mild cough or fever. After 1 to 2 weeks, severe coughing can begin. Unlike the common cold, pertussis can become a series of coughing fits that continues for weeks. In infants, the cough can be minimal or not even there. Infants may have a symptom known as “apnea.” Apnea is a pause in the child’s breathing pattern. Pertussis is most dangerous for babies. More than half of infants younger than 1 year of age who get the disease must be hospitalized. Approximately 1-2% of infants who are hospitalized from pertussis will die. If this sounds like a scare tactic, read about how five infants in the UK have died of whooping cough in the UK this year. Five kids who could have lived if they were vaccinated. Or those who passed the disease to them were vaccinated. 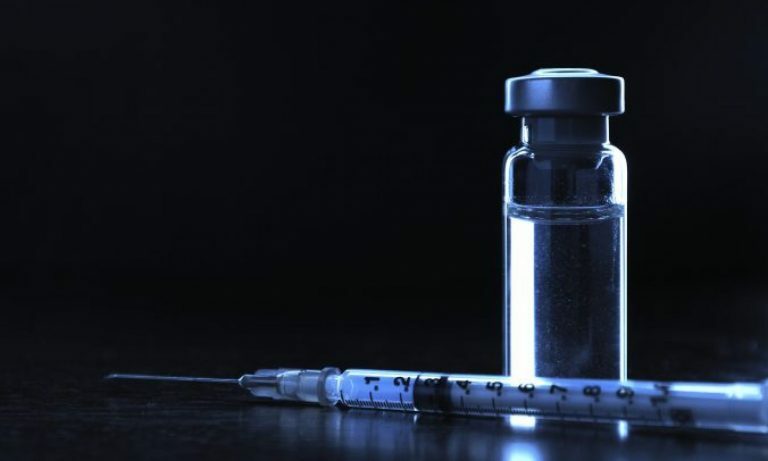 This is relatively solid evidence that there is a direct link between the vaccine denialism pushed by the likes of Andy Wakefield, Jenny McCarthy and Meryl Dorey and an epidemic–lower vaccination rates lead to higher whooping cough rates. Simple conclusion: Vaccines Save Lives.